Now that you've got your map and spreadsheet in hand, you can plan out next year's garden. For those of you who have been gardening in the same spot for several seasons, the goal is to make sure that plants in the same family don't share the same soil for at least three years. That means that you don't want your summer beans to follow your spring peas and don't even want those beans to be in a bed that has grown peas, beans, or peanuts for at least three years. Some gardeners keep rotation extremely simple by dividing their garden into four sections and growing different families in each section. For example, if the northeast quarter of your garden is home to the legume family, the southeast quarter to potatoes and tomatoes, the southwest quarter to cucurbits, and the northwest quarter to everything else, you can simple turn your map like a wheel to plan next year's garden. Now your legumes go in the southeast quadrant, the tomatoes in the southwest quadrant, and so forth. Unfortunately, the method outlined above has several problems. Chances are your garden isn't entirely uniform, so the wheel rotation method would often require you to grow vegetables in spots they don't prefer from time to time. In my garden, a third of the growing area has deep, loamy soil that's good for root crops and another third is very sunny and perfect for spring and fall crops. That means my brassicas are nearly always located in the sunny third while carrots and potatoes dominate the loamy third. 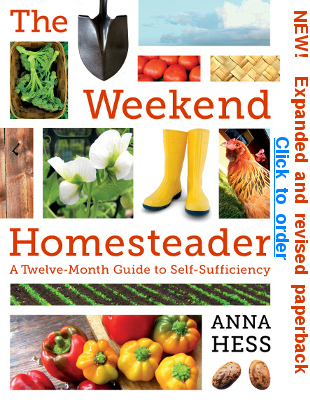 The June volume of Weekend Homesteader walks you through locating each part of your vegetable garden in the proper space. Even if you are growing on a completely flat area with no shade and with the same soil type throughout, planting big blocks of the same type of vegetable together is asking for trouble. With the exception of corn (which requires a large planting in one spot to allow for wind pollination of the seeds), you'll have far less insect and disease pressure if you scatter each type of vegetable throughout the garden. Big blocks of similar plants mimic monoculture and often lead to insect and disease epidemics. At the other extreme, a diverse garden with beans beside tomatoes beside parsley will make it tough for problematic insects to find the plants they prefer while also tempting beneficial insects to spend time in every part of the garden. To add one more complication to the mix, you should keep in mind that you can often grow two or more different vegetables in the same bed each year. 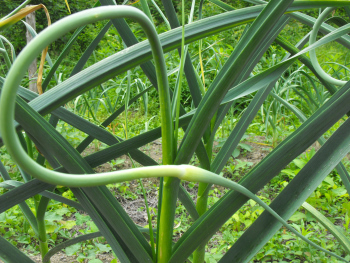 For example, over-wintering garlic is harvested in early June, just in time to plant sweet potatoes. Spring leaf lettuce takes about a month to bulk up, can be cut for a month, and then turns bitter, so I allot the lettuce two months out of the year. Your notes from last year will help you figure out how many months each crop will take (and the May volume of Weekend Homesteader explains when each one should be planted), but there are always a few vegetables that are pulled out early or don't come up. As a result, I generally plan the location for my vegetables in stages, first figuring out where each variety will go for the spring planting (February to June) and only later planning my summer and fall gardens. 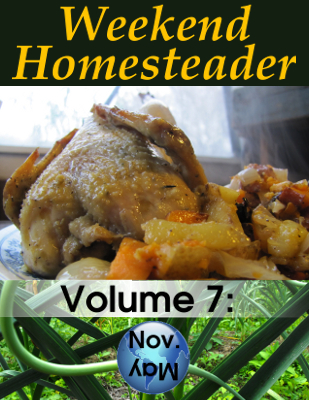 This week's lunchtime series includes one of the four projects from Weekend Homesteader: November. Stay tuned for the rest of the series, or check out the 99 cent ebook for more information on how to store drinking water for use during power outages, to put an entire chicken to use in the kitchen, and to bring in cash without going to the office.